Your Body Mass Index score will help you determine if your current weight is generally "Underweight", "Normal", "Overweight" or "Obese". To make it easy for you to calculate your body mass index and your waist to hip ratio, we have created a Body Mass Index Calculator and Waist to Hip Ratio Calculator which we've put in the weight loss tools section of this site. These calculators explain how to use them and how to interpret the results. Also in the weight loss tools section you'll find an Energy Needs Calculator which can calculate the approximate number of calories or kilojoules you need to maintain your current body weight. Knowing the amount of energy you need each day to maintain your current weight will help you plan exactly what amount of energy you can consume and lose weight, which we'll talk about further in steps 3 and 4. In addition to these self assessment tools, it's a good idea to talk to your doctor about your weight as well as any underlying health problems that may be associated with being overweight if you believe you are overweight. Your doctor will be able to not only assess your weight and confirm your Body Mass Index, they will be able to check things like your blood pressure, blood sugar levels, kidney function, cardiovascular function, etc. This will provide valuable feedback about whether or not you already have the onset of some of the health conditions normally associated with being overweight, which can be reassessed once you've begun to lose weight. In addition to a medical assessment, you may also be interested in a general fitness assessment or assessment of your current diet. Personal Trainers can assess your general fitness and strength and measure your body fat levels. In doing so they can also assist you in setting fitness related goals. 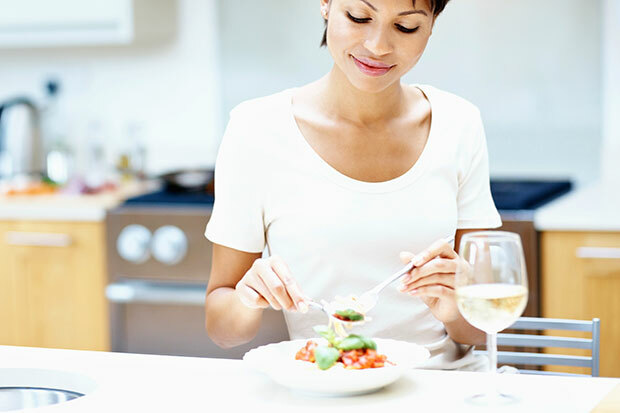 Dietitians can assess your current diet and help you make modifications. Weight loss Retreats can do all of these things too. To help you find these weight loss professionals we've set up a weight loss directory for you to use. Setting realistic and achievable short and long term goals is the next stage after assessing where you currently are with regards to your weight and general health. The simplest weight loss goal that most people set is to achieve a certain weight or amount of weight loss by a specific date. For example, "I will lose 10kg in the next six weeks" or "I will weigh 86 kilograms by the 1st of April this year", etc. To assist you in setting your goals, we've written some articles which you should read before setting your goals, such as Setting Weight loss Goals and Keeping your New Year's Resolution. As we mentioned above, conducting a self assessment and talking to your doctor and possibly a weight loss professional or two will also assist you in setting your weight loss goal. Eating too much over a long period of time is usually the cause of us being overweight, so it should be no surprise that if we are going to successfully lose weight we need to modify our diet. Having determined the daily calorie intake needed to maintain our current weight using the Energy Needs Calculator during the self assessment phase, we can plan to consume less than that figure and in doing so lose weight. How many calories less than this figure we consume will depend on how quickly we want to lose weight and how much of a reduction in energy we can cope with physically and mentally. One very common mistake that failed dieters make is to reduce their calorie intake too much too quickly. It takes many years to put on the weight we want to lose, so why should we expect to take it off in weeks and realistically keep it off? Even reducing your calorie intake by as little as 5 to 10% will make a difference in the medium to long term and reducing your calories by this amount should be safe as well as sustainable physically and mentally. To assist you in changing your diet, we have quite a few helpful tools on this website, including our series of Everyday Diets for Everyday People, Food Nutrition Tables, Healthy Recipes, Diet Articles and Food Diaries. Our Everyday Diets for Everyday People are 12 week eating plans that contain everyday foods. The calorie and kilojoule value of all foods in these diets are clearly labelled so you can easily vary or substitute one food for another. These diets are based on an average daily intake of around 2,000 calories or 8400 kilojoules, but can easily be increased or decreased because each of the foods listed has it's calorie and kilojoule value. Our Food Nutrition Tables help you to calculate the amount of calories and kilojoules of the foods you are currently eating or are planning to include in your diet. In addition to their energy values, these tables also list other important nutrition values of the 4500 common foods listed, such as Calcium and Folate, Carbohydrates and Sugars, Total Fats and Saturated Fats, Fibre and Cholesterol, Protein and Iron, and Sodium and Potassium. Our Healthy Recipes section has hundreds of healthy recipes categorised into Healthy Breakfast Recipes, Healthy Lunch Recipes, Healthy Dinner Recipes, Healthy Snack Recipes and Healthy Drink Recipes. As well as a photo of the dish, a full ingredient list and recipe method, each recipe page highlights what type of recipe it is (low fat, high protein, etc), includes a full nutritional panel, additional comments and suggested similar recipes. If you're looking to include some delicious and nutritious new foods in your diet, visiting these recipe pages is a must. 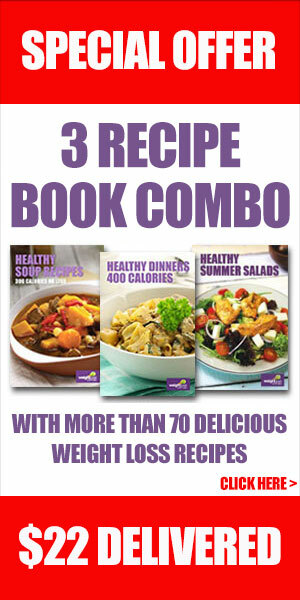 If these recipes aren't enough for you, we also sell some very popular Weight loss Recipe Books in our online shop. Our Diet Articles library contains numerous articles on topics ranging from Emotional Eating, Golden Rules of Dieting, low carb diets, portion control and feeling fuller longer to food cravings, meal replacements for weight loss and more. Our series of Food Diaries includes a downloadable Basic Food Diary, Emotional Eating Food Diary, Salt, Sugar and Fat Food Diary, Fibre, Calcium and Omega 3 Food Diary, Iron, Magnesium and Potassium Food Diary and Alcohol, Caffeine and Cigarettes Food Diary so you can keep track of particular nutritents in your diet. If all these tools aren't enough to help you plan a healthy weight loss diet, you can also get some help from a registered dietitian that you find in our Dietitians directory. As well as planning the energy you're going to consume in your diet, you also need to plan the amount of energy your body is going to consume doing exercise. It is the net result of the amount of energy you take in versus the amount of energy your body uses on a daily basis that will ultimately determine whether or not you lose weight, maintain your weight, or put more on. To assist you in planning and starting an exercise program, we have plenty of helpful tools right here on this website, including our Exerise Energy Charts, Exercise Diaries, Target Heart Rate Calculator, Exercise Article Library, Home Workout Series, National Fun Runs and Walks Calendar, Walking Path Guides, Exercise DVD's and Swiss Ball and Swiss Ball Accessories for purchase. If you need additional help, we also have a directory which lists exercise professionals. Our Exercise Energy Charts provide an estimated number of Kilojoules or Calories expended at various body weights while performing a range of typical weight loss exercises for 30 minutes. This information is critical in determing exactly how many extra calories your body will be consuming doing your choice of exercise. Our series of Exercise Diaries includes a downloadable Basic Daily Exercise Diary and a Monthly Aerobics Exercise Diary. Before downloading a exercise diary, you might first like to read our articles on Exercise Planning, Keeping an Exercise Diary, or Keeping a Weight loss Journal. Our Target Heart Rate Calculator will help you determine the best workout intensity for your exercise experience, fitness and goals. Before using this calculator, you might find it useful to read our article on Using a Heart Rate Monitor. Our series of Home Workouts includes Core Stability and Back Care Workouts, Dumbell Workouts, Stretching Workouts, Swiss Ball Workouts and more. All of these workouts can be carried out in the privacy of your own home. In addition to these great workouts you can also purchase exercise DVD's for our online shop including Pilates DVD's, Yoga DVD's and Swiss Balls and Swiss Ball Accessories. Our National Fun Runs and Walks Calendar lists many of the organised fun runs, charity walks and bike rides in each state of Australia, broken down by month. Included in the calendar are the event date, time, location, distance, type and contact details of the organisers. Our Walking Path Guides provide details of some of our favourite walking and jogging paths around Australia. If you're looking for someone to walk with, you'll find people like yourself in the Walking Groups section of our Weight loss Forum. If after visiting all these sections and tools you still feel that you need some professional help, you can visit one of our exercise directories and get the help you need. The exercise directory includes a list of Personal Trainers, Yoga Classes, Pilates Classes, Boot Camps, Mums and Bubs Exercise Groups and Fitness Equipment retailers in each state of Australia. Staying motivated to diet and exercise in order to lose weight is the biggest challenge most of us face when trying to achieve a weight loss goal. It's often a lack of sustained motivation and ongoing support that leads to weight loss failure. To assist you on both accounts, we've put an article in our Weight loss Articles library on Weight loss Motivation, compiled more than 100 weight loss tips and set up a Weight loss forum where members with similar goals share their experiences and encourage each other to stay on track and achieve their goals. Speaking of the weight loss forum, the members often conduct monthly Weight loss Challenges which you can join to help you stay motivated. You can also subscribe to our free Weight loss Newsletter which will provide additional information and help designed to support you on your weight loss journey and help you stay motivated. If you need professional motivation and support, simply visit our Weight loss Directory. A good way of staying motivated is to regularly check your progress towards achieving your goals. Even if you take a step backwards every now and again, which is very common in the pursuit of weight loss goals, it is critical that you measure and record your weight loss results periodically. Checking your weight everyday isn't necessarily a good idea. It's far better to check it every week, because our daily weight can be influenced by things such as water retention, etc. As well as weighing yourself, make sure you check your progress in other areas as well, like waist measurement, for example. To help you check your progress regularly, use the Diet and Exercise Journals in the weight loss tools section of this site, and read the Weight loss Journal Article in our Weight loss Articles Library. You can also join in on the Weekly Weigh Ins and Weight loss Challenges on our Weight loss Forum. Periodically you should conduct a complete reassessment of your weight loss program to see what's working and not working for you. This might involve conduction another self assessment, having a medical assessment or assessment by a weight loss professional as detailed in Step 1. If you're going to seek advise from your doctor or weight loss professional, first have a think about what worked well for you and where you think things might have worked better (assuming of course that you fell a little short of achieving your goal). If you did achieve your goal, your next challenge is going to be maintaining your new weight in the long term, which many people struggle with, particularly if they haven't made permanent lifestyle changes in order to achive their weight loss. Typically, the faster we lose weight, the less likely we are to keep it off (this excludes weight loss achieved with the assistance of weight loss surgery of course). If you are thinking of weight loss surgery, we have put a Surgical Weight loss directory together for you to visit. Maintaining a new healthy weight can be as difficult as losing all the weight in the first place. To assist you in maintaining your weight once you've achieved your goals, we constantly add new content to this website, including new healthy recipes, weight loss tips, everyday diets for everyday people, new articles, new home workouts, etc. There's also a Maintenance Crew Section on our Weight loss Forum designed for those who have acheived their weight loss goals and want to stay there. A great way to maintain your new weight is to share you experiences with others who haven't quite got there yet and you can do this on our Weight loss Forum. So now you have a step by step approach to a DIY Weight loss Program that can help you lose weight and keep it off. Good luck achieving your weight loss goals.